How can two people create such a mountain of laundry? I ask myself that question every single week. No, scratch that: every single day! How can two people create such a huge mountain of laundry that just never, ever, ever seems to go away? I swear, I just did laundry the other day and already my bedroom floor looks like my closet upchucked on it. That’s just MY laundry. Then there’s my son’s room. His dirty clothes are a little more contained, but only because they’re smaller. I’m not going to lie to you, I also have a basket of laundry tucked away in my closet of “out of season” clothes and blankets. I use that so I don’t have to wash them until it’s time to wear them again. Ok, that’s enough peeking at my mess! Good thing you can’t see what’s around it! There’s a reason it’s cropped so tight, my friends! It’s not that I’m lazy about doing the laundry. Well, maybe a little. It just seems that it keeps adding up. I get all motivated to get it done, but the process takes forever and I end up doing maybe half of what I had planned in between working to support my son as a single mom. How can Tide® HE Turbo Clean™ help conquer Mt. Laundry? New Tide® HE Turbo Clean™ detergents can help you conquer that mountain of laundry by saving both time and water. 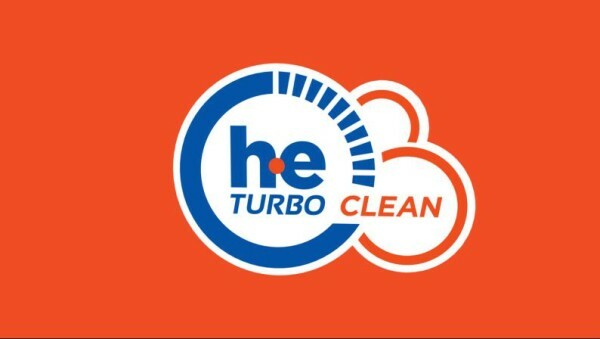 A first-of-its-kind, the HE Turbo Clean™ formula is the #1 recommended detergent by leading HE washer manufacturers. So how does it save time? Tide® HE Turbo Clean™ has smarter suds. No, I’m serious! It features an awesome proprietary, quick-dissolving Smart Suds™ technology that basically helps prevents your HE Machines from running extra rinse cycles. Fewer rinse cycles means your clothes are ready to move over to the dryer faster, right? 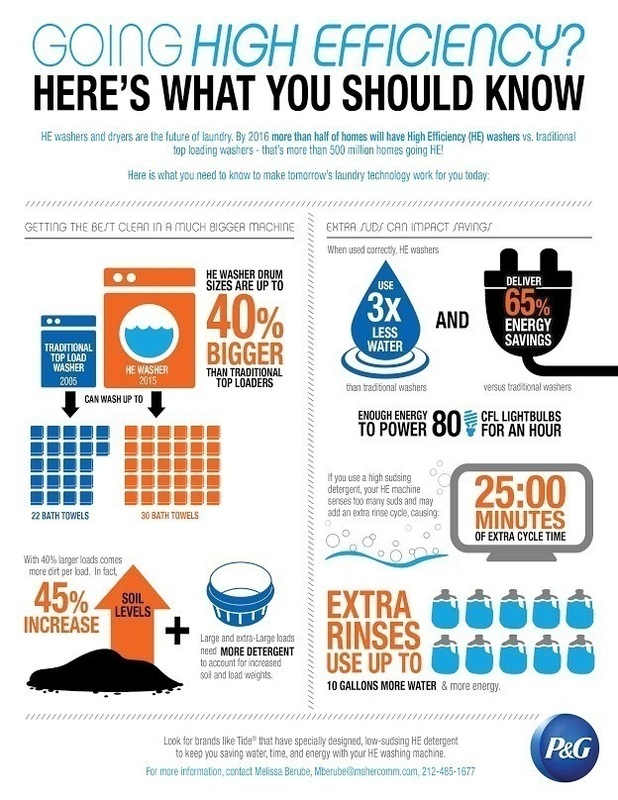 You can save up to 25 minutes of cycle time, depending on your washer. Tide® HE Turbo Clean™ comes in liquid detergent, Tide Pods® 2 pacs and Tide® powder formula. Just like with any laundry detergent, when you use Tide® HE Turbo Clean™, it’s really important to make sure you follow dosing instructions and use the right amount of detergent with the load and dirt level. My mom drives me batty because she’s stuck back in the days before concentrated laundry detergent. No matter what we use, she still insists on using too much laundry detergent. In her case, I would buy the Tide® HE Turbo Clean™ Tide Pods® 2 pacs. That way she can just toss in the right amount and go. Since HE Machines can hold up to four times more than traditional top loaders, make sure you take that into consideration when you’re reading the dosing instructions. Now if only Tide® could find a way to bottle a magical laundry genie that pops out and transfers my clothes to the dryer when they’re done washing, I’d be able to conquer Mt. Laundry in no time. Obviously, laundry detergent alone isn’t going to help you get all your laundry done fast. You need to put the effort in too. I’m planning on conquering my mountain this weekend. Then I’m giving away all my clothes and living in pajamas for the rest of my life. Oh wait, I already do pretty much live in my pajamas. Do you have any tips on how to conquer Mt. Laundry? Share them in the comments! Wash your clothes less often. No need to wash jeans and sweatshirts after just one time using, and you do not need to wash towels after one use. I read somewhere that it says to wash towels after 3 uses. 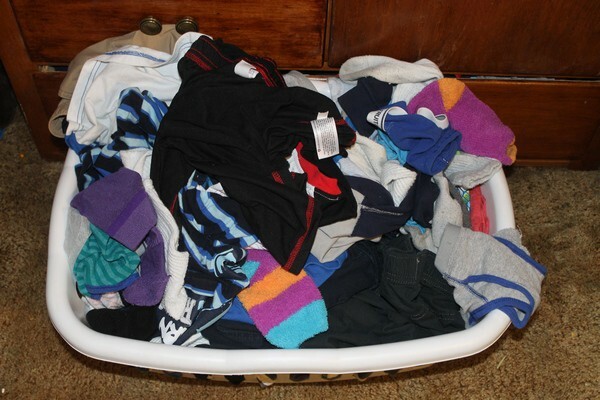 Sort clothes by using different hampers for the colors because this saves time. I love using Tide detergent, and it is so true that we want to use to much clothes soap. I have stopped doing this. Those are great tips! For my towels, I think I do them every three showers or so. I figure I’m clean when I get out, and I always use one towel for my body and one for my hair anyway (I have a lot of hair). I have always liked Tide, they’re a classic! I try to do a load of laundry a day to keep it manageable! 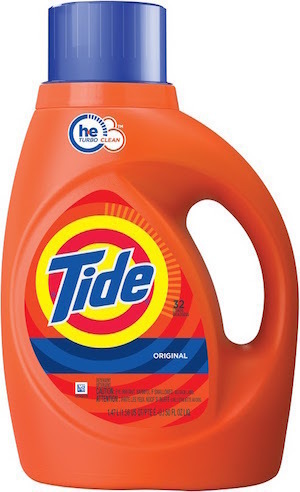 I’ve never tried this variety of Tide before, but it sounds great! Anything to make the process go faster is a plus in my book! I usually buy what is on sale, but i really do prefer Tide over the other brands. 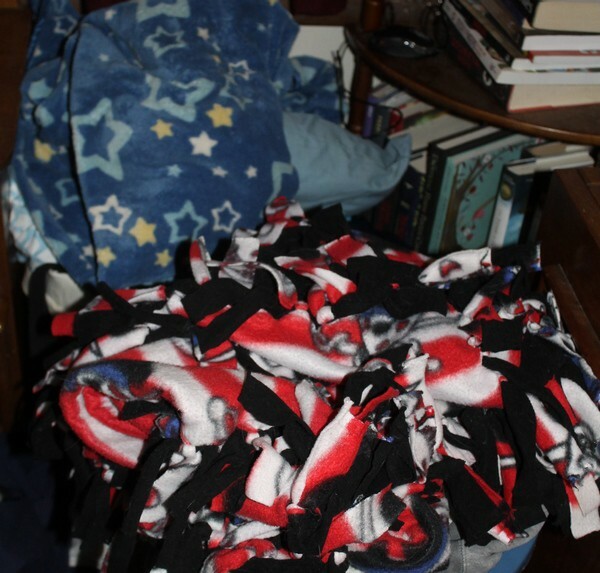 Within the last few days i have done so many loads of laundry, and folding of clothes. And i never knew too many suds could be a problem either.